We need no magician to tell us that our hearts are a very vital organ that needs all the care it can get. The moment your heart stops beating, game over, you are down. However, you need to keep your heart strong and healthy while it's still beating. One way is to keep active and stay fit. The other way is to fuel your body with foods that help protect your heart. 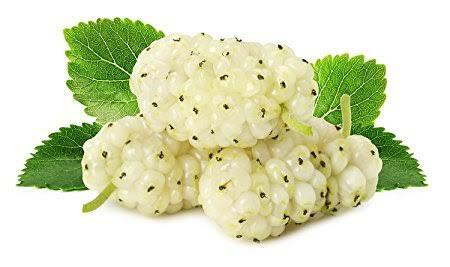 White mulberries taste a bit like figs but have the mouth-feel of raisins. Getting more of these antioxidant-filled berries into your diet will help guard your heart against being damaged by free radicals. 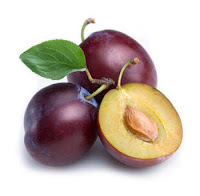 They are sweet and delicious and have less natural sugar than other fruits. Also, they kick free radicals out of your body. Another big winner for the heart is apricots which are excellent for providing your body with antioxidant-rich vitamin C. They also have plenty of potassium. This powerful combination lower blood pressure and keeps your blood vessels and arteries relaxed so blood flows smoothly through the body. Red wine drinkers already know that the red grapes that are used to make wine are filled with resveratrol, a polyphenol that slows and even prevents a variety of cancers. If you do not like red wine, eating red grapes with the skins on will give you the same beneficial effects. 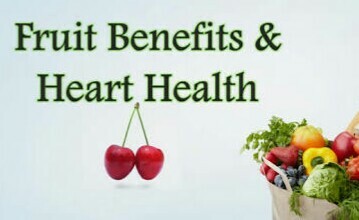 Now we really know that an apple a day can keep the doctor away by lowering your risk for heart disease. Apples already have a stellar reputation for lowering LDL cholesterol, which will help keep plaque from building up and prevent inflammation. Add that to the list of reasons to enjoy more apples! 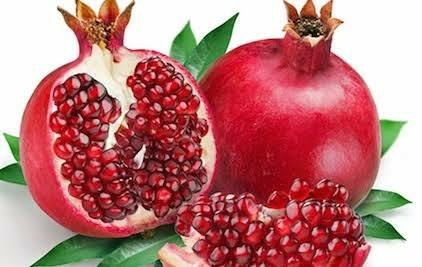 Pomegranate, as well as the juice from it, help keep your cardiovascular system healthy. It keeps the walls of your arteries healthy and regulates blood pressure levels. The more pomegranate you eat or drink, the more improved blood flow you will have to your heart. 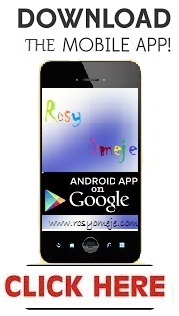 It has also been shown to help people who suffer from diabetes. They are excellent for keeping your weight healthy as well as promoting clearer, more radiant skin, plus grapefruit is a heart-healthy fruit you need to eat more of. One grapefruit boosts your body with a huge dose of fiber, lycopene, potassium, choline, and vitamin C. Fresh red grapefruit has been shown to have a positive impact on the lipid levels in your blood, which is fantastic news for your heart. Strawberries are loaded with vitamin C and folate. Just like blueberries, i strawberries contain the same compounds that prevent tightening of the arteries and keep plaque from building up. This sweet and delicious fruit proves it is more than just a tasty food. Another fruit with gobs of antioxidants is the peach. The antioxidants in peaches prevent the destruction of the cells in your body, plus they keep you free and clear from obesity, heart problems, and inflammation. Other nutrients found in peaches have been shown to reduce LDL cholesterol, greatly reducing your chances for heart attack or stroke. They might not be very large, but plums are a huge source of potassium. That means they’re great for helping you manage high blood pressure. The skins of plums have also been shown to be an outstanding source of antioxidants that literally erase free radicals from your body. You might not see black currants at your supermarket or regular market often, but when you do, eat them up. You will often find them blended into some varieties of wine. Black currants are filled with potassium. They also contain GLA that lowers blood pressure and keeps heart cells safe from damage. That’s not a bad reputation to have! Oranges are a good fruits all around. They have fiber, vitamin C, choline, and potassium. Potassium, in particular, they serve to send energy through your body to keep your heart going. 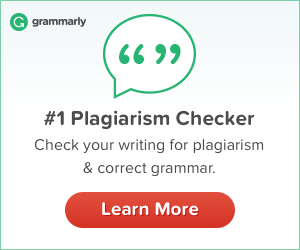 Potassium deficiencies can cause an irregular heartbeat. It also helps lower your blood pressure, which will help protect you from having a stroke. The feijoa is a fruit that is very common in South America, but rare in other countries. The flesh is similar in texture to a pear while the flavor is often described as tasting like a combination of strawberry, guava, and pineapple. 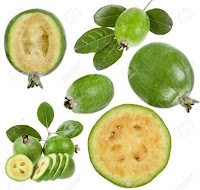 Feijoa is filled with potassium, fiber, vitamin B6, and vitamin C.
Fiber-filled foods are wonderful for keeping the heart healthy because they lower LDL cholesterol (the bad one) while raising HDL cholesterol (that’s the good one). In one feijoa, you will get 418 mg of potassium, which relaxes your blood vessels and regulates your blood pressure. 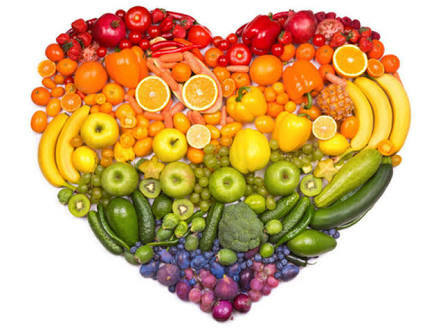 Also note that fruits and berries are very important to consume in a healthy diet. While they have many other positive benefits for our bodies, these fruits/berries tend to do even more where matters of the heart are concerned. Fruits and berries are also sweet naturally, making it easy to transition from sugary sweets to something that tastes sweet and does your body good. So, when next you have urge for a sweet snack, or your kids get home from school, slice up apples or oranges and enjoy yourselves. You can also have red grapes with a little bit of high-quality cheese for a delightful treat, jazz up oatmeal and cereal for breakfast with strawberries and peaches, drink a glass of pure grapefruit juice or scoop out the flesh with a spoon for a healthy morning refreshment. You can get creative with fruits in many ways, but even if you just eat them like that, your body will thank you with improved health and vitality for a longer life. Remember you can get all these fruits in malls and supermarkets. Wow... Most of these are actually my favourites so I'm good to go!